What can you say. Its an inner tube. Made of butyl rubber, its black and does what it says. Probably more durable than most (other than Airstops (but they are hard to find in Brompton size)) and comes with a well thought out valve retainer. Natty clear plastic dustcap. 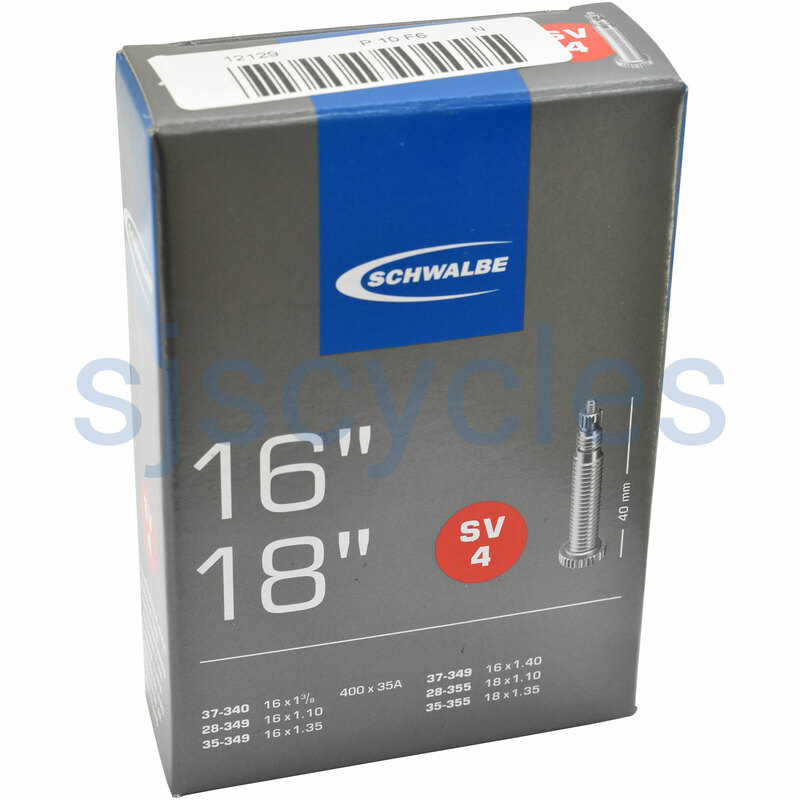 Do your schwalbe inner tubes come in boxes? The box really helps when checking which tube fits which bike when you've got several! Yes these tubes are boxed. The inner tube that you need is sjs part #3833. The tube for 18 x1.25 Tires? This would indeed be a suitably sized inner tube for 18x1.25" tyres.